National Volunteer Week starts today with a range of events organised by Volunteering SA&NT. This year’s theme - Give Happy. Live Happy - highlights how helping to make the lives of others happier also benefits the volunteer. 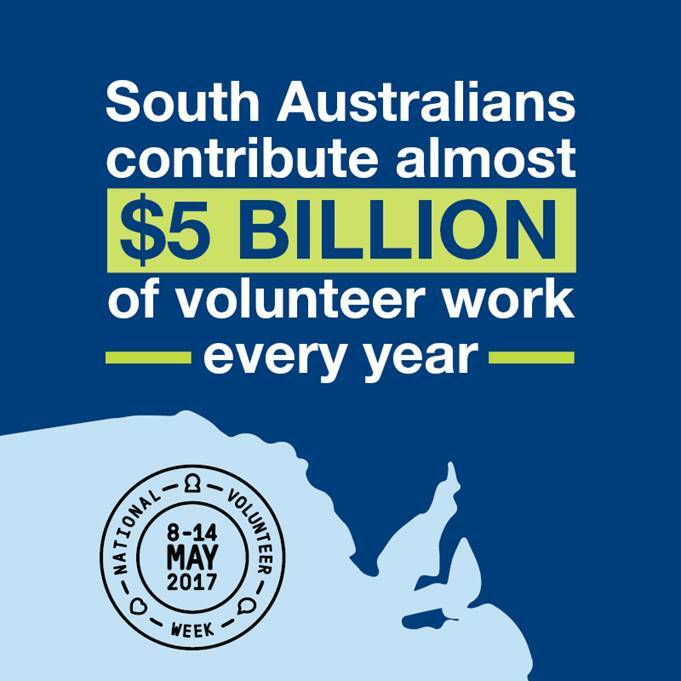 South Australia boasts a proud tradition of volunteering, with an estimated 920,000 people donating their time and energy to contribute around 1.7 million volunteer hours each week. This volunteering effort is valued at almost $5 billion each year. Research has found that 95 per cent of volunteers relate their volunteering to feelings of wellbeing and greater health and happiness. Volunteering can also lead to opportunities to gain new skills, make new friends and even boost job prospects. Everyone benefits from volunteering. National Volunteer Week acknowledges the important role volunteers play in our community, and is a chance for everyone to say ‘thank you’. It’s never too late to start volunteering – visit www.volunteeringsa.org.au to learn more.